We have helped many couples who do not want a commercial type of wedding to do a unique and very personal tropical barefoot wedding of their dreams at Nirvana on the beach in Negril, Jamaica. Nothing elaborate but certainly romantic, The grounds at Nirvana are private and unforgettable. Your wedding can take place right on the beach, in our private gardens, or on the veranda of our villa, which faces the sea. Take a look around Nirvana to find all the choices and decide what location suits you when you get here. Nirvana can put you in touch with a full service wedding planner who will arrange a complete wedding package or we can give you the best contacts including a professional quality florist and a full service photographer to do everything yourselves. We recommend an official Jamaican Marriage Officer, who is an Ordained Reverend. He will provide you with an Internationally recognized marriage certificate and will do any kind of ceremony you choose, and will be more than happy to answer all your questions. We at Nirvana on the Beach can recommend local drivers who have safe new vehicles, are completely trustworthy, fully insured and have excellent driving records. Please call for rates. We need your airline, flight number and time of arrival in Montego Bay at least 1 week before your arrival to schedule this service. Nirvana on the Beach has well qualified local nannies who can be scheduled by the hour or by the day. These ladies make sure your kids have a ball and are well experienced looking after kids of all ages. They can make a carefree vacation for parents who would like to have their kids along, but need a break. We need 24 hours advance notice to set up sitters. Laundry service is available at your request, charge is $30 US for a basket. Enjoy a relaxing massage! Professional Certified Massage Therapy in your rental unit is available upon request. Please ask our manager for rates. Nirvana on the Beach in Negril, Jamaica is proud of our great local Jamaican staff who have been with us for many years. They will greet you with a warm welcome and a big smile. Just ask them for whatever you need. 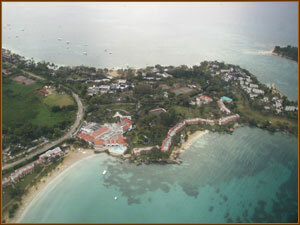 Our manager is happy to act as your contact for seeing and doing all the activities Negril is famous for. We can arrange transportation for tours of all kinds, make concert and restaurant reservations, and many other activities... just ask. Our recommended van and taxi drivers are fully licensed and insured and are available for all your transportation needs including airport transfers by reservations, as well as shopping, day trips to other beautiful and interesting places in Jamaica. Leave the driving to local drivers who are experienced in driving on the left. We know hotel security is on everyone's mind while traveling and we have 24 hour security in place for your complete peace of mind. Our beach guard assures your privacy and will watch any personal belongings you may want to leave with him while you take a walk go for a parasail ride or do watersports or relax on the beach. Our night watchman takes over in the evening and patrols our grounds while you sleep. Our friendly housekeepers are happy to show off their wonderful native style cooking skills, give you Jamaican recipes, and squeeze fresh orange juice for you. From to our gardener, who keeps the grounds so lovely, to our stalwart security guards, to our lovely housekeepers, the entire Nirvana staff is dedicated to making your vacation a true holiday in every sense.